Welcome to AutoUsedEngines. Reach out to us and tell us what happened. We are here after hours, if you need. Leave a message and we’ll get back. Get FREE quotes and advise at a time when it counts.Before you buy a used BMW engine, learn how to be concise when ordering power train products for your BMW. Avoid pitfalls when buying a used or rebuilt engine for your Bimmer. Shipping is usually within a week to the US. We personally track until it arrives. 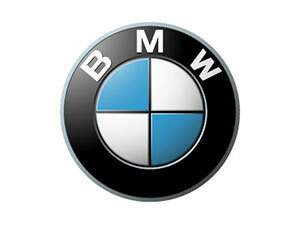 We are a family-owned business having been providing used BMW powertrain products for more than three decades. We are the top distributor for individual drivers and auto owners. Have your VIN and the shop address when you call. We help shave thousands of the cost of your auto repairs. Our family-run store is streamlined to low prices and freedom to help you in a personal and intuitive manner. Not every car is the same, nor every client. You want your car back on the road and running for another generation. A clean well-tested and low mileage used engine can be ready to ship out fast and FREE to US or Canada. They are subject to availability, so call and check. Have your VIN and the shop address when calling. Get your repairs done on the cheap and right the first time with experts that care. Give us your vehicle’s back story or tell us exactly what you’re looking for and we’re on it. It’s not so much about your car, as it is your life. Here you will find a well-organized team backed by a massive inventory where most units are ready to ship within a few hours while you receive personal attention on the line. Once we receive the order confirmation, our real work begins. We personally attend to the delivery process from warehouse to delivery target. Location of your part shouldn’t be a guessing game while your life is on hold and unbalanced without your ride. Everything is hinged upon the arrival of your part. We understand. Headquartered in Munich, home to 5 continents and manufacturing in seven countries, Bayerische Motoren Werke is one of the largest global manufactures of automobiles that are found on every continent. Our focus is for acquisition, repair and or distribution of power train and drive train products for model years 2000 or younger. More precisely for the engine and transmissions sold in these eras of models. We can add that BMW’s engine performance has been outstanding since initiation of the straight-six engine in the late 60s and the following sixty years of fabulous engine performance in fabulous cars excites us, still. In stock we have set aside many versions each of the straight-3 BMW engines, the straight-4 and the beloved straight-6 turbo and non-turbo. Among these there are variances starting with the E Series engiens ballooning the numbers into the tens thousands of engines with varying capacities and torque to include the youngest models following all the prior Series and then, the more recent N Series engines. There are at least twelve different tweaks within the N Series, alone. Literally, tens of thousands of engines are ready to ship. Whether yours is a convertible, BMW coupe, SUV or crossover SUV, your engine type is specified directly from your vehicle identification number. Without it, we can only guess what yours might need, like N74 engines for Rolls-Royce Phantom (Okay. Not likely, but let us add that this engine is a fabulous 6.75 Liter twin turbo V12 petro) or yours could be a 6.0 Liter Turbo V12 in a top of the line luxury sedan. If yours is diesel-fueled, we have them in house and ready to ship. Call about yours today! Which vehicle do you own? Call and find its availability and pricing today.